Wolves winger Zeli Ismail is determined to break into the first team when he recovers from the knee injury that could keep him out for six months. Ismail, 20, has impressed while on loan with Notts County this season, scoring four goals in sixteen games and helping them push for promotion. But his spell with the League One side is over after having surgery to repair damaged cartilage. "It's for me to get right and prove myself," he told the Wolves website. "You have to be strong and positive and get through the injury. "I've always been happy at Wolves - I grew up here, have been here a long time and am keen to break through." 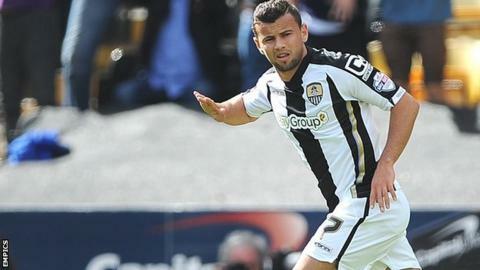 Ismail, who has a contract with Wolves until the summer of 2016, added: "I loved playing at Notts. "I learned a lot from playing regularly. We were on a good run and it just kept going and we didn't want it to end."